Through the last six seasons of "Game of Thrones," Arya Stark has become one of the most dangerous people in Westeros (and Essos). Here are the greatest moments on Arya's path from highborn tomboy to face-swapping assassin. 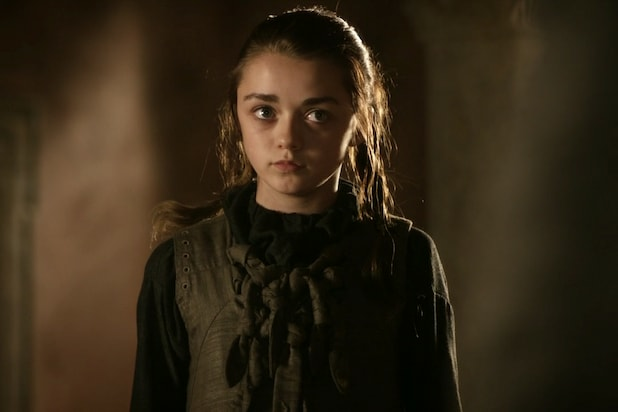 Arya Stark began the series as a rebellious tomboy more interested in swords and archery than in sewing and dancing. She left her home in Winterfell to join her sister, Sansa, and her father, Ned, at King's Landing. Tragedy first came into her life when her friend Mycah was killed by the bodyguard Sandor Clegane when he was falsely accused of harming the spoiled prince Joffrey Lannister. Arya began learning swordplay under the tutelage of Syrio Forel, but their lessons came to a halt when Syrio was killed in an attempt to protect Arya from being captured by Lannister knights. Arya fled King's Landing shortly thereafter, but not before witnessing her father get executed by Joffrey. In season 2, Arya disguised herself as a boy named Arry while being held prisoner in Harrenhal. While working in Harrenhal, Arya met Jaqen H'ghar, an assassin who offered to kill three men who wronged Arya to repay her for helping save his life. After escaping Harrenhal with the help of Jaqen, Arya was taken prisoner by the Brotherhood Without Banners, a group of vigilantes who wish to ransom her back to the Starks. 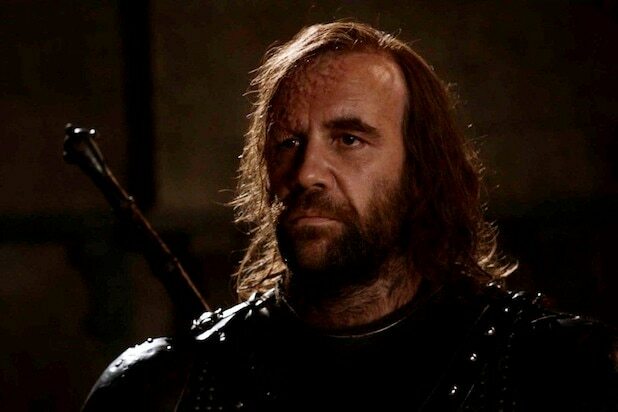 The Brotherhood captured Sandor Clegane and forced him into a trial by combat. But to Arya's frustration, Sandor won the battle and was released. Arya attempted another escape, only to fall into Clegane's clutches and once again become a ransom hostage. It was during her travels with her most bitter enemy that Arya began killing, starting with a group of soldiers who killed and desecrated the body of her brother Robb. Clegane was mortally wounded during a fight with Catelyn Stark's former knight, Brienne. Arya chose to get revenge through mercy by leaving him to die slowly instead of killing him quickly. Arya then traveled to the island of Braavos, the homeland of Syrio Forel and Jaqen H'ghar. She joined the Faceless Men, a group of assassins who renounce their identities and use the faces of the dead to disguise themselves. They vow only to kill when assigned to do so. But Arya broke that vow when she killed Meryn Trant, the Lannister knight who killed Syrio Forel. As punishment for killing Trant, the Faceless Men used their powers to blind Arya in the Season 5 finale. 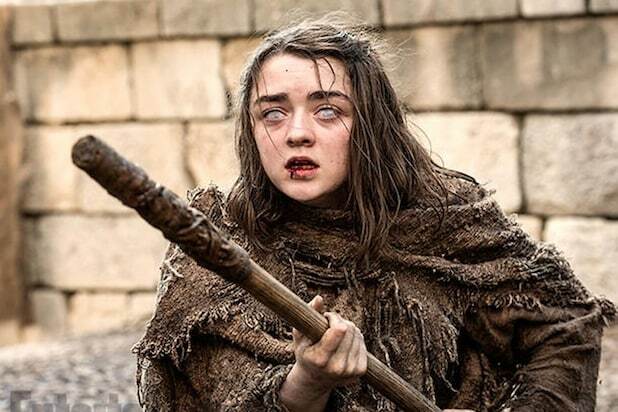 A blinded Arya lived on the streets as a panhandler, constantly tormented by the Faceless (wo)Man known as the Waif. She's down, but not totally abandoned by the Faceless Men -- her blindness, and the Waif's torment, are a test. It's a test that Arya passes, learning some valuable fighting skills in the process. Back with the Faceless Men and her eyesight restored, Arya is assigned to murder Lady Crane, an actress. But after scouting her, Arya decides against carrying out the murder, and again finds herself an outsider hunted by the Waif. The Waif wounds her, but Arya escapes thanks to Lady Crane. But again the Waif catches up to her, murdering Crane and chasing Arya through the streets of Braavos. Arya defeats her by leading her into a small room and cutting off the lights -- Arya knows how to fight in the dark, but the Waif does not. The Waif was herself another test, apparently. In the temple, Jaqen is pleased, and declares that Arya has finally become "no one." Arya, defiantly, states: "A girl is Arya Stark of Winterfell, and I am going home." Returning to Westeros, Arya got her revenge on the Freys for the Red Wedding and the death of her mother and brother. She first killed Lord Walder Frey's sons, Lothar and Black Walder, and baked them into a pie, which she fed to Lord Frey. Arya then killed Lord Walder as well, slitting his throat in the same way her mother, Catelyn Stark, was killed. She reminded him that a smiling Stark face would be the last thing he saw before he died. Kicking off Season 7, Arya used her Faceless Man skills to wear Walder Frey's face, inviting just about everyone in House Frey to a feast. Once she'd assembled every one of the Freys involved in the Red Wedding, Arya delivered the coup de grace -- poisoning all of them in one fell swoop. She basically single-handedly eliminated one of the Starks' biggest enemies.